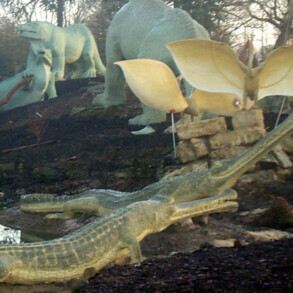 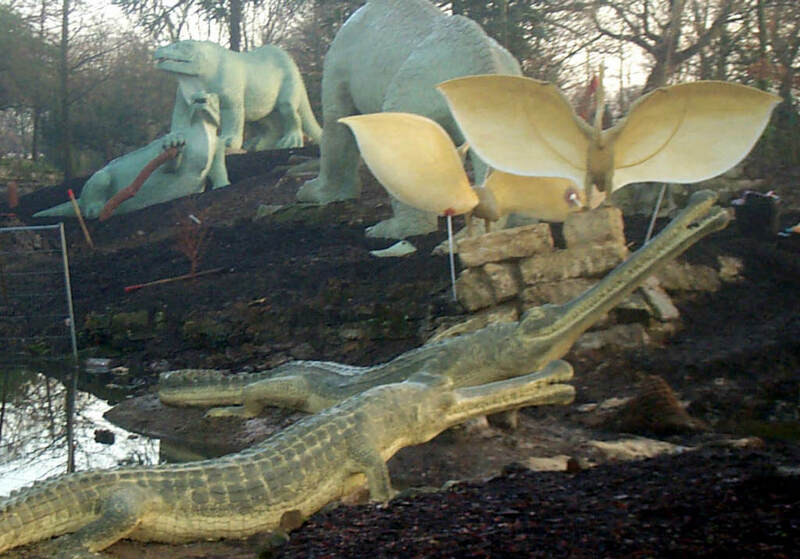 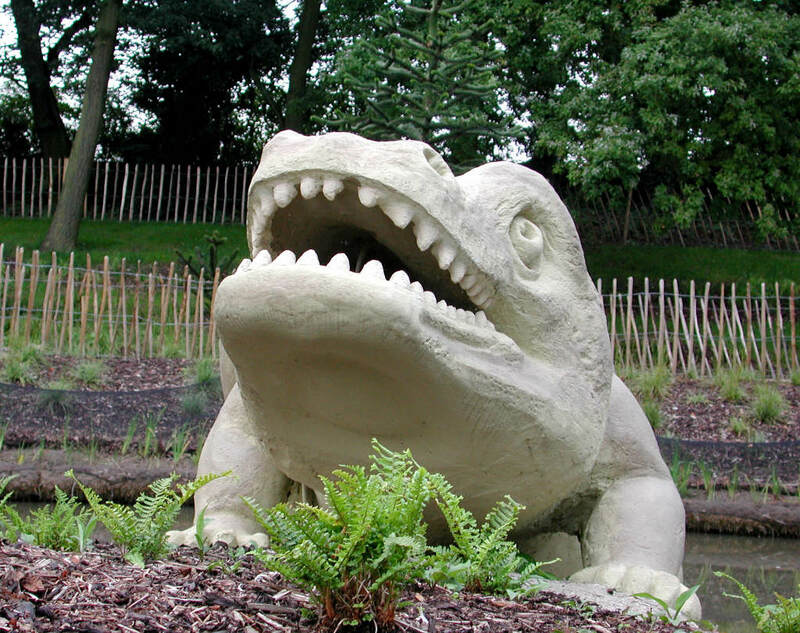 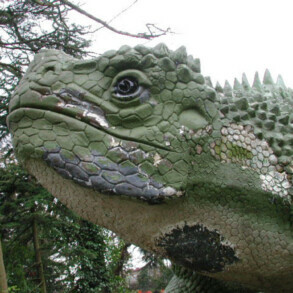 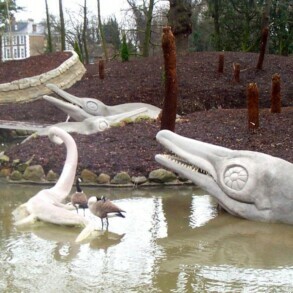 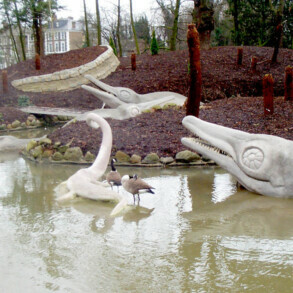 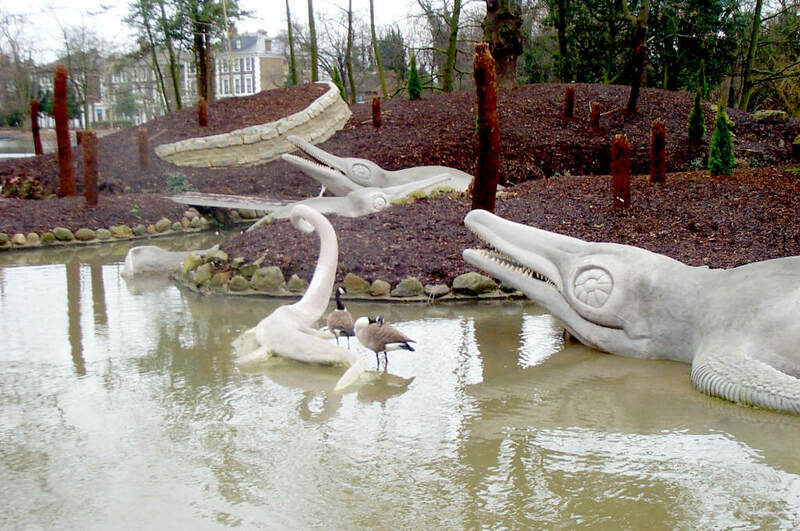 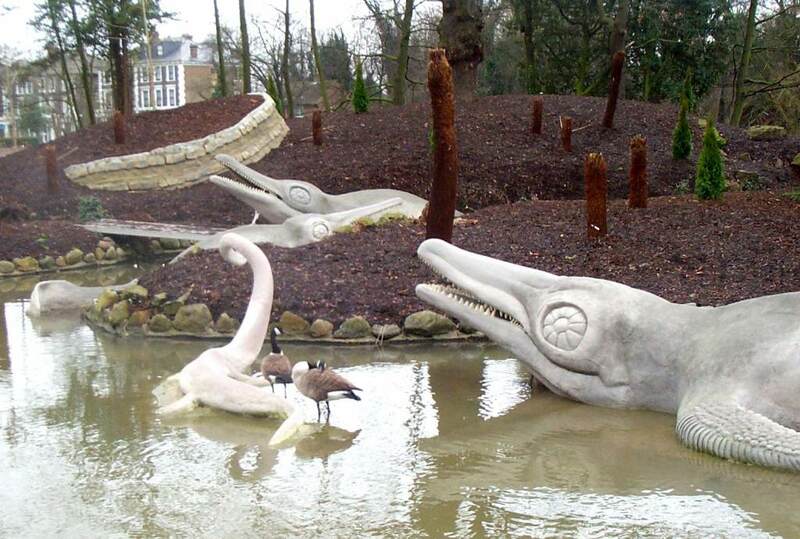 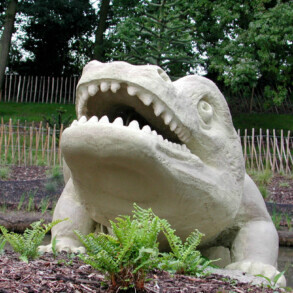 These dinosaur sculptures are part of the world's first three-dimensional representation of prehistory at Crystal Palace Park. 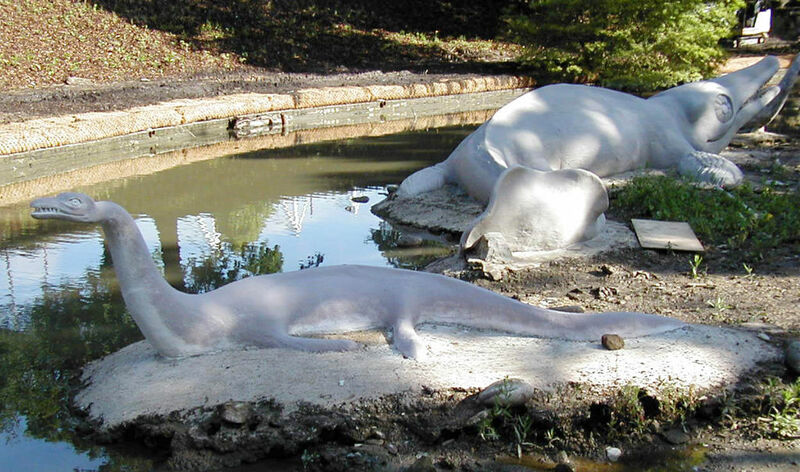 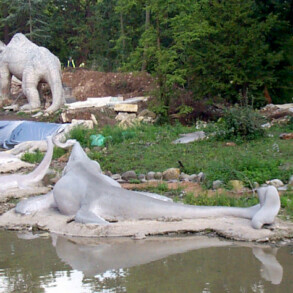 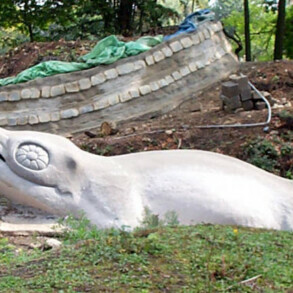 As part of the extensive renovations of the park landscape, Eura Conservation restored the 150-year-old dinosaurs. 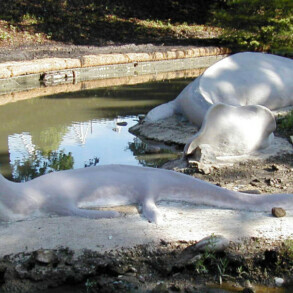 In the 100 years since the last maintenance, the 32 statues have suffered from the effects of armature corrosion, weather and vandalism: the lead had distorted and cracked, and several statues or parts of statues were missing and had to be reconstructed from historical evidence. 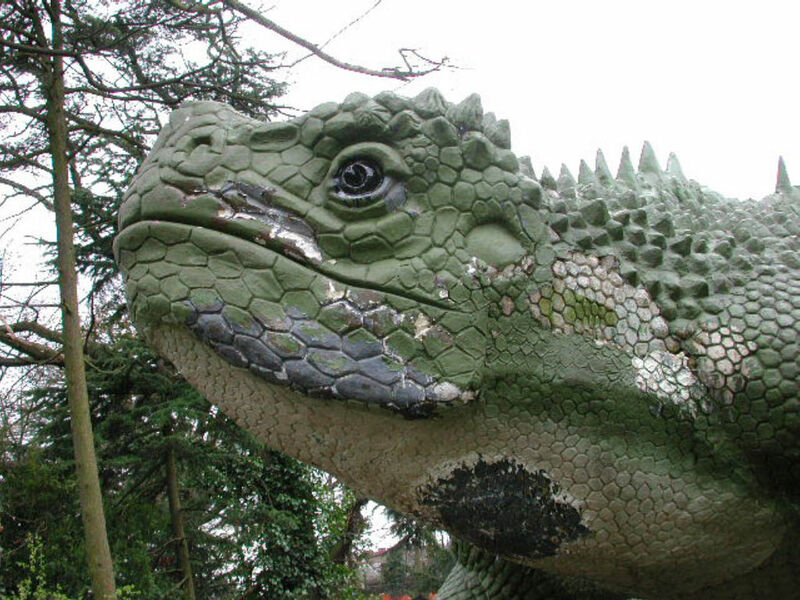 Working with Holden Conservation, stone specialists, the statues were cleaned and repainted according to an original colour scheme which were identified from analysis of paint found on the dinosaurs.